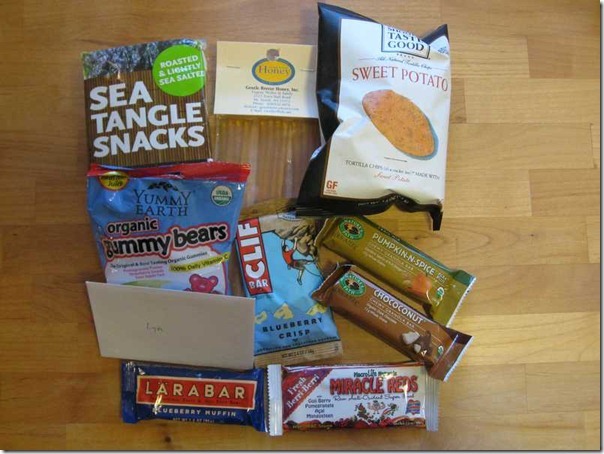 A few weeks back, I came across “foodie pen pals” while reading another blog. I checked into it further and decided that I would participate for March. Lindsay started this back in September and it’s grown to almost 300 participants. In a nutshell, you are paired up with another bloggers or readers and you send a package to someone and get a package from someone else. The packages are up to $15 worth of foodie goodies. You make contact with your recipient to check for allergies and other special information and then you put together a box of goodies for them. I received my box from Rebecca over at http://runningbooboo.blogspot.com/. 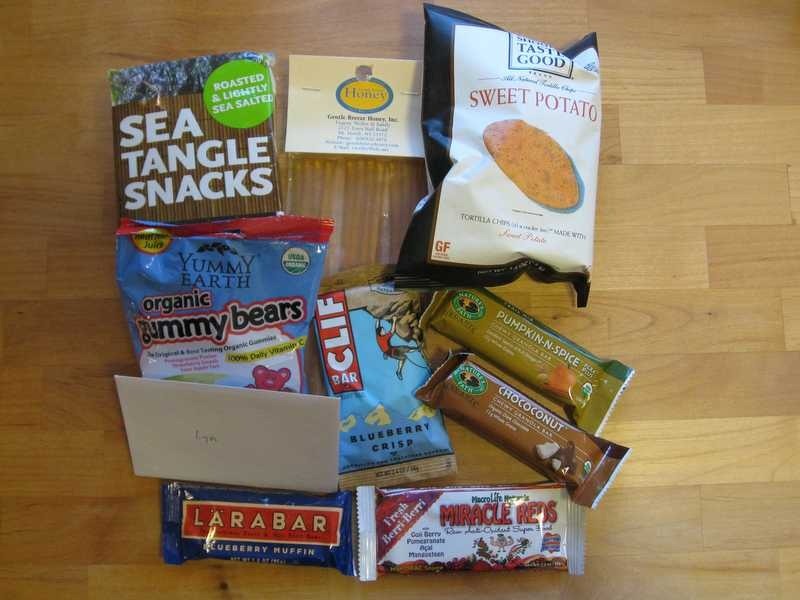 She shared a box of her favorite go to snacks on the run. My kids and I have been enjoying the snacks. So far, everything we’ve tried has been great. The Gummys only lasted a couple of minutes after they were opened. They are already gone in this photo. I sent a box to Debby over at Deb’s Daily Life. I’m excited to see what she thought of her box. It’s been fun participating this month and I look forward to next month. And now it’s time for some details about Foodie Penpals. It’s open to blog readers and bloggers, so it’s open to everyone. -On the 5th of the month, you will receive your penpal pairing via email. It will be your responsibility to contact your penpal and get their mailing address and any other information you might need like allergies or dietary restrictions. You can participate in just one month, every month or any other schedule you choose. -You will have until the 15th of the month to put your box of goodies in the mail. On the last day business day of the month, you will post about the goodies you received from your penpal! If you aren’t a blogger, you write a short guest post for your pen pal. If you get paired with another reader, you just enjoy your goodies. Either way, remember to thank the sender! If you’re interested in participating for April, please CLICK HERE to fill out the participation form and read the terms and conditions.